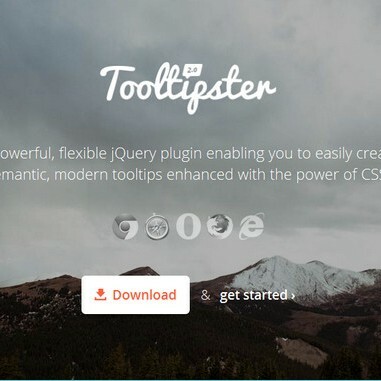 Tooltipster is a powerful, flexible jQuery plugin enabling you to easily create semantic, modern tooltips enhanced with the power of CSS. Tooltipster allows you to use any HTML tag you can think of inside your tooltips. This means you can insert things like images and text formatting tags.